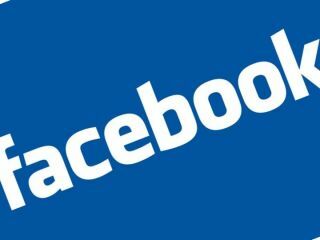 Facebook has asked its entire user base of more than 350 million people to update their privacy settings, as it launches significant changes to the popular social networking site. This privacy shake-up is due to start in the next 24 hours. Along with the previously announced tools, to give users 'personalised and greater control over the information they share', Facebook will ask people to review their settings in what the company is spinning as an internet first. "Starting today, Facebook will also take the unprecedented step of presenting more than 350 million users with a Transition Tool - a transparent process requiring people to review and update their privacy settings," explains Facebook in a statement. "The recommendations are designed to help people connect and share - consistent with the reasons they joined Facebook - in a responsible way by taking into account how users have shared that information previously and recognising that users may consider some information more sensitive. "Potentially sensitive information, like phone numbers, is assigned a more restrictive recommendation. Facebook will suggest that users retain settings they have previously configured, but if users have not changed their settings in the past, Facebook's recommendations will be pre-selected. "Users can change any of the selections and they must confirm all selections before they take effect. "Once users have updated their settings, they will be shown a confirmation page that will let them review their selections again. "The confirmation page also provides a link to the full Privacy Settings page where users can modify settings further as they see fit. Of course, users will be also able to change their settings whenever they want." Being 'required' to update the settings will mean that more people are thinking about what information they are publishing online. Facebook has often been held up as a site on which people are careless with information, allowing things like identity fraud or private photographs to get into the wrong hands.